The Sabre Stunt 2 pages is 4.4 MB. Larger files take longer to load. 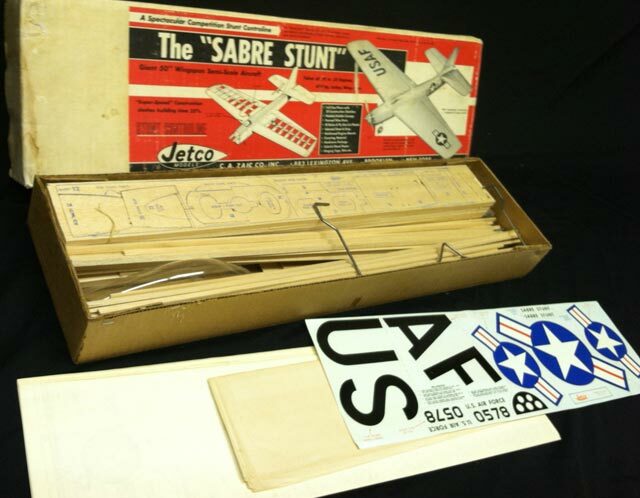 This is the Sabre Stunt 2 pages listing page, here you can download the plan, article and see the main thumbnail and extra images. Sabre Stunt Control Line semi scale stunt model from Jetco, for .19 to .35 engines. Jetco kit # CL-3. A great plan for seasoned flyers. 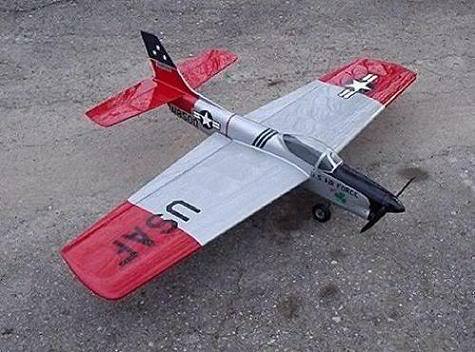 The Jetco Sabre Stunt was maybe NOT the best stunt plane from the classic era 1956, but belonged to the big pack of readily available stunt kits. To many a joke about flying them because they all tended to slack lines in many maneuvers. 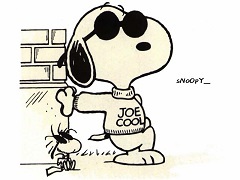 The joke was that, once inverted, it just kept following you while you ran in circles to protect from it. Overhead maneuvers are dangerous and square maneuvers were very difficult. A sporty stunt plane to enjoy flying large smooth maneuvers and walk or run quite a bit while flying. it is a very easy build due to the interlocking construction. However, the formers are not clearly shown and some are not shown at all. What is available on the scan is very scalable. These are the details for the "Sabre Stunt 2 pages" plan. If you would like to become a plan editor and help us to edit the attributes of all the plans in the website please click the "Edit Attributes" button below. Order your Sabre Stunt 2 pages prints today! The Sabre Stunt 2 pages plan can be printed on plain paper, tracing paper or polyester film and shipped worldwide. This tool allows you to calculate the cost of printing and shipping the Sabre Stunt 2 pages plans and its building article if available. If you need to resize a plan please contact us with the ID:90591 and the desired wingspan. I will calculate a price upon request, please contact me here mentioning this PlanID: 90591 and the job you wish me to do. 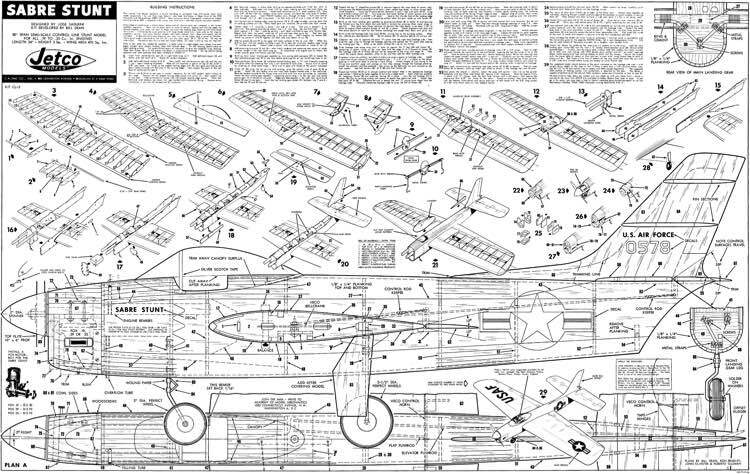 This plan is 4.4 MB and was shared by our member CoMIYC69 on 24/05/2015 10:14 in the PDF Bitmap Wood Model Airplane Plans (1) category. It has been downloaded 160 times.